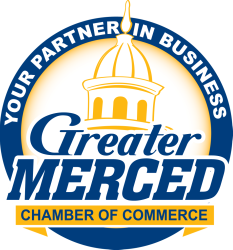 The Greater Merced Chamber of Commerce is premier business resource providing advocacy, education, networking and community stewardship. Guided by our core principles. The Greater Merced Chamber of Commerce partners with business, government and community leaders to promote a strong local economy.